Ever since Mohamed Adan Nur became a US citizen 13 years ago, he's been struggling to bring his wife and children to America. Now, after the Supreme Court upheld President Donald Trump's travel ban , the Somali native has no idea if or when they might join him. "I'm really very sad. It doesn't make sense," the Atlanta-based truck driver said. "No reason to hold my kids on one side of the world and me on the other." His is one of countless stories of American citizens directly impacted by the travel ban. Under the ban, close relatives might be able to enter the United States if they get a special waiver . But some relatives -- like Nur's -- have had difficulty getting a waiver, which can be denied without explanation . Now some families remain separated across continents. Others are realizing their hopes for the "American Dream" might be over. Nur's quest for a better life started long before he became an American citizen. He was born in Somalia, which was ravaged by civil war and famine in the 1990s. So in 1993 he moved to Yemen, where his children were born. Six years later he came to the United States alone, since he couldn't afford to bring his wife and children. He needed to save money to establish a home for them. "I've been here 20 years. ... I never take off one day," the 48-year-old said. "It costs a lot of money to support family overseas and get visa work complete." Finally, he had saved enough money to bring his family over. But his family was denied entry due to the travel ban . 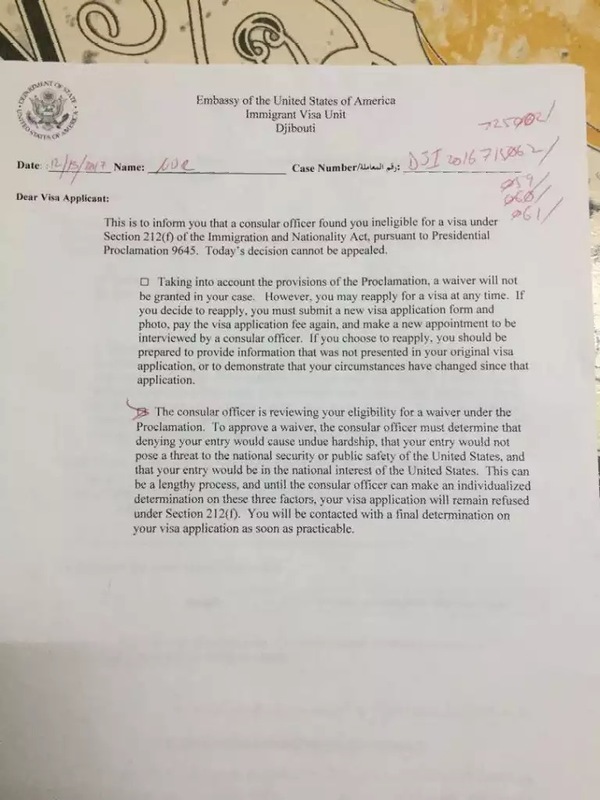 They tried to get a family waiver under the ban, but received a letter of denial with no explanation . Nur said he pays federal taxes and isn't looking for government assistance. "I'm the one supporting my family. I don't need anything," he said. He just wants his children to finish their education in the United States. "That was my dream," Nur said. "Mr. Trump, he mess(ed) up everything. All my dreams." "You have your Melania and your child. ... How (do) you try to separate somebody's wife and his kids for no reason?" Mohamad Mashta came to the United States from Syria on a student visa in 2012, as his country was in the throes of a civil war . He was later granted asylum and now works at an auto manufacturing plant in Ohio. But he started feeling unwelcome after Trump issued the first version of his travel ban last year. "For the first time since I immigrated, I was no longer sure that the US was my home," Mashta told reporters Tuesday. "It seemed like I was being sent a message: People like me were no longer welcome here," he said on a conference call organized by the ACLU. "At my work as an engineer in an auto manufacturing plant, I felt like I had to defend my religion, nationality and the life that I built in this country." After the Supreme Court upheld the third version of Trump's travel ban Tuesday, Mashta said he and his wife "are afraid for our future." "If they are allowed to have this ban, what will they try next? Will I be sent away?" he said. Mashta said the Supreme Court's decision is especially devastating because he and his wife are expecting their first child in September. Her family won't be able to come see the baby. "All I can say now," he said, "is this decision made us feel like we are second-class people." 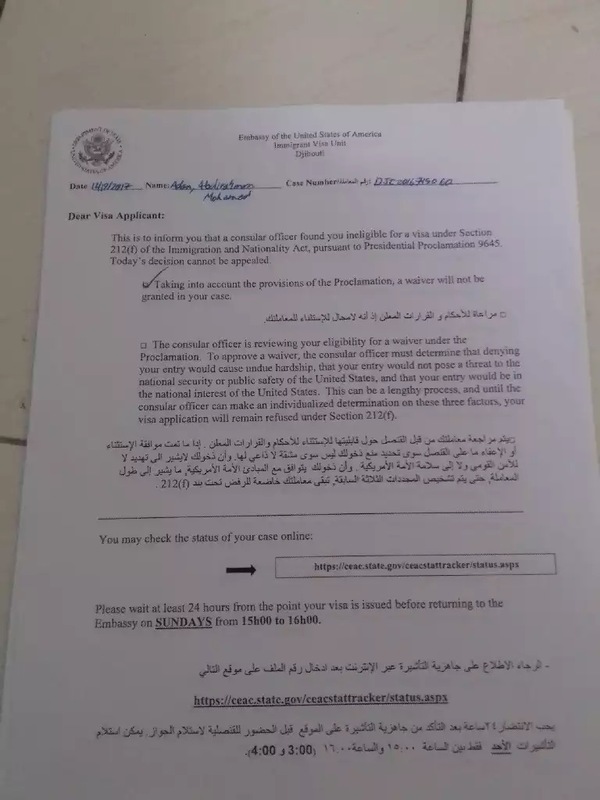 Yemeni businessman Saleh Mujalli had planned to travel to the United States, but the ban now makes that impossible. Trump has said the travel ban would increase the safety and security of the United States . And the Supreme Court ruled that the ban is within Trump's authority . But Mujalli said he believes there are hidden motives. "The ban on Yemen nationals is not for immigration or security worries, but rather because Yemen is a poor country, and the US does not have any financial interests in the country," he said. "Yemen is the poorest country in the Middle East, and the recent ban proves the world ignores the poor and respects the rich." Another Yemeni businessman, Yasser Adimi, studied in the United States 20 years ago. He said he's disappointed by how the country has changed. "Sadly, the US is going against the same beliefs that made it the great country it is," Adimi said. "When I studied in Tennessee, I believed that the United States was the land of opportunity and land of the free. Today, it's becoming the land of Americans only."